Happy customers are essential for long-term internet marketing success. Anything less can lead to disaster. Unhappy customers don’t just refuse to buy from you again, they spread the word far and wide that they’re not happy, going into great detail about the reasons why. Harvard Business Review has stated that 48% of customers who had a bad experience made sure to tell at least 10 people about it. And, even if a disgruntled customer blows things out of proportion, people are listening. It is much more beneficial for people to be saying positive things about your products and customer service, so be sure to do all you can to keep your customers happy both before AND after the sale. Making sure that your customers have a great experience with both your products and their interactions with you will help ensure their repeat business, and ideally, increase the likelihood of receiving referrals and glowing reviews. What is the key to customer satisfaction? Most of the time, it’s easier than you think. One of the ways you can keep your customers happy is to create content that is specific to them. The relationship you have with your customers is a little bit different than the one you have with prospective customers or leads. Customers have already shown you a significant level of trust by purchasing a product that you have either created or recommended. They believed your promises and put their money on the line. You shouldn’t stop wooing them, but your relationship has moved from the acquaintance level to friendship. And because of this, they require a different kind of content; the kind that establishes an emotional connection. Social media interaction is another great way to keep your customers happy. Be sure to respond to comments on your posts and even visit the profiles of your customers from time to time to like, comment, follow or share their relevant posts. Make sure to thank anyone who posts something positive about your business and recognize their accomplishments. Keep your own content fresh and engaging, avoiding constant updates promoting new products or sales pitches. Ask questions and engage in conversations regularly. All of these things will make your customers happy to see your posts come across their timeline. Providing excellent customer support is probably one the most important ways to keep your customers happy. Have a visible system in place for submitting support requests and be sure to respond to them quickly. If you offer any money back guarantees, be sure to honor them. 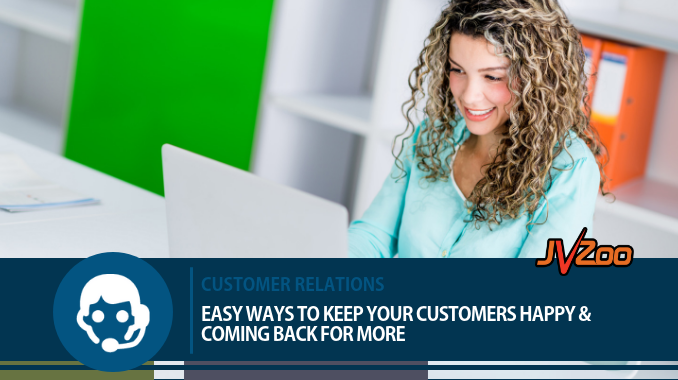 When handled correctly, you can turn even the most irate customer into a repeat customer. It just takes patience and finesse. If you’re unsure what kind of content or services you should provide in order to keep your customers happy, one simple way to find out is to ask them. Customer feedback is one of the most valuable resources you have for creating content, services, and products that they’ll love. Send a short survey out to your email list or share one on social media. People love to share their opinion and what they’ve got to say can give you great insight into what types of content and services you should work on next. Also, when you take your customers’ opinions into consideration when making changes or creating new products, it shows them that you’re truly listening to them and are concerned with keeping your customers happy. JVZoo takes our Users’ feedback very seriously and has made several changes to our platform based on the needs expressed by our Sellers and Affiliates. 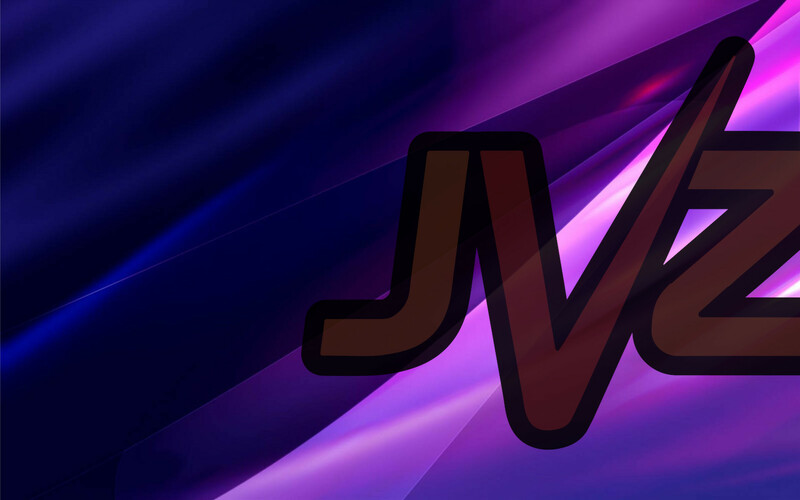 We regularly ask questions and request feedback in our Official JVZoo.com Facebook Group and value the opinions and suggestions of all our Users. When you strive to keep your customers happy it will produce a community of people who are loyal to you and who trust your recommendations. It involves more than just making repeat sales. It’s the continuous analysis of how you can improve your business in order to give them what they need. This is what keeps your customers happy and coming back for more. Haven’t joined our Official JVZoo.com Facebook group yet?